Great shot! Perfect post for B&W! Scanned through your blog and I gotta say that you are a fantastic photografer. The poem expands the picture, and gives a hopeful interpretation of "good-bye." Not every ending is the end! You have certainly mastered your new camera, this is great - wonderful contrast and textures! Beautiful shot, and the text makes me think of my high-school senior, off to college in the fall! Wonderful shot. Reminds me of childhood (mine and my daughter's)when we'd blow on them and make a wish. Lovely post all around. The photo is great and perfect for the verse. Hi there - great shot. My kids love finding these - although I have to find them first if I want to take any pictures! They get blown away once they find them! Hi Laura, lovely words and shot. And your photo is just stunning! I like how you put the 2 together in one image... wonderful. Wow, this is fantastic, Laura! Wonderful light, tones and details. I have always wanted to make a photo like this! This is lovely as always Laura. Thank you for sharing beauty. Hope you're doing okay. Have a good weekend. 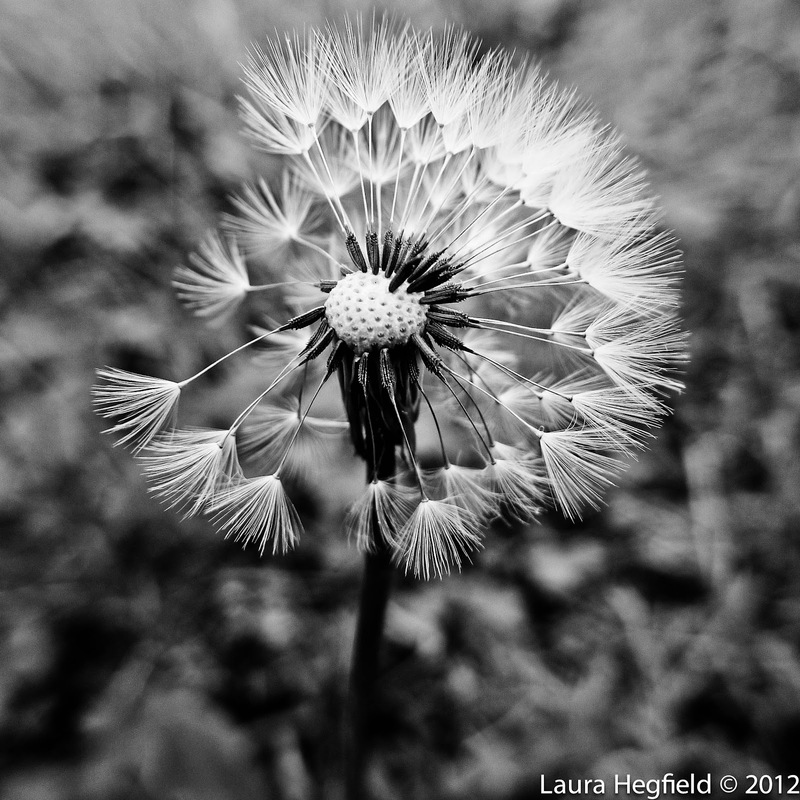 Whispiring wishes with you Laura... As we travel between the words and worlds... Thank you. Lovely lines, perfectly illustrated. Really finding beauty where some people wouldn't see it! thank you for the reminder not to overlook the everyday. paying attention is an art unto itself. i recently photographed a puff...in its full stage. i too remember these from my childhood. Your image and words are so beautiful...may we all find that soft soil in which to grow. Beautiful, Laura. I was shooting a few dandelions yesterday. None turned out as lovely as this. Beautiful - bothe the words and the excellent photo.